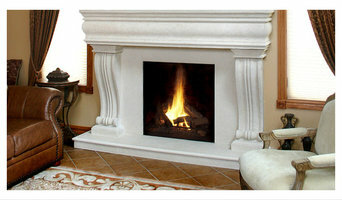 Custom-Made Stone Fireplace Mantels & Outdoor Firepits. We turn old fireplaces into modern works of art. It’s our passion! 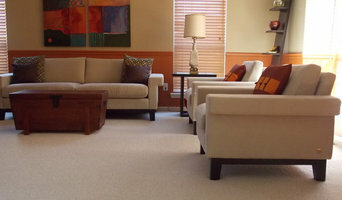 I am a trustworthy, experienced interior decorator focused on the individual needs and personality of each of my clients. My goal is to create spaces which are highly functional, as well as uniquely designed and visually stunning! We are a tribe of accomplished Interior Designers passionate about designing luxury homes, forging long lasting relationships with our clients and debating what's for lunch. We enjoy traveling and working on projects out of state and are always looking forward to blowing expectations and having a few good laughs along the way. 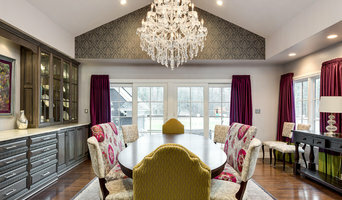 Bonnie Wu Design, LLC is a full service interior design firm lead by Leslie Murchie Cascino. BWD focuses on residential projects throughout the United States from single room remodels to full-scale renovations and luxury new builds. We are a young company, but in our short time in business we have aimed to improve our clients’ sense of “home” through collaboration and an eye for executing the details. Our name is sourced from Leslie’s cultural background: “bonnie” (Scots) meaning beautiful and “wu” (Cantonese) meaning home. Our logo, the silhouette of Leslie’s beloved Scottish Terrier Jarvis, is representative our design aesthetic: both distinctive and playful. Young & Young Interiors is an intimate group of professional interior designers dedicated to great interior design in practice and execution. For six decades, Young & Young's devotion to its clients and commitment to design integrity have remained its standard for creating homes of long-term economic value and enduring beauty. Our mission is to make professional design accessible to everyone. We offer affordable solutions that will work within any budget. Whether it's a small job like solving a design problem or helping you choose a single piece of furniture or whether it's a complete kitchen redesign, we will partner with you to achieve your dream space. We absolutely love all types of design and pushing the envelope. Want a neutral room? We will ensure it's full of texture to make it interesting and beautiful. Want to live in a world of colour? We can add a little or a lot and make it not feel overwhelming. No matter where you live in the world, our online interior design eConsult means that we can help you turn your house into a home you can be proud of. Kirkshire Design Group functions on the belief that dreams are attainable and we work to deliver the designs that our clients desire. Bringing designs to life is a collaborative process that includes the architect, contractors, artisans, vendors, our team and our clients. We have close working relationships with some of the best in the business so we can go above and beyond your expectations to deliver your project the way you envision it. Our service offerings include interior architectural planning; lighting design; construction details such as custom millwork, cabinetry, flooring, countertops, tile, plumbing fixtures; along with the specification and installation of furniture, window treatments, art and accessories. We also offer architectural advisement and designs in regards to home building, renovations and additions. 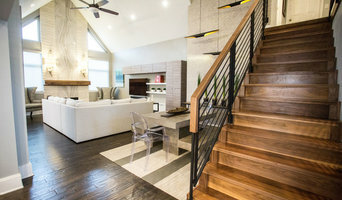 We have built our reputation on personalized and custom homes that are tailored to our clients’ specifications. We strive to create uniquely beautiful designs and we would love to collaborate with you to build your dream home. Rariden Schumacher Mio & Co.
Our role is to guide clients toward a thorough understanding of their own style. We want to open possibilities, create options, trigger ideas and inspire individual choice. The process of creating a successful interior environment is complex. It involves respecting client’s views while honing a vision. One must have an in-depth understanding and a working knowledge of how all the disciplines of the process evolve. It is the combination of two – Aesthetics and Function – that provide the building blocks for the design firm of Rariden Schumacher Mio & Company. “Home is a place where you nourish your soul — a haven where you unwind before launching the next day. Great design allows limitless possibilities that will inspire and support a beautiful life.” Design edits out life’s clutter, creating a space where you feel calm and where everything has a place and a purpose. Whether it’s traditional, eclectic, contemporary, industrial, or other design concept, Jeffrey King Interiors brings your dream vision to life. Jeffrey King studied Interior Design at the College for Creative Studies in Detroit and loves creating beautiful spaces unique unto themselves — and has been for more than 30 years. No matter the size, style or scope of the project, our mission remains the same: To conceptualize and bring to life timeless yet functional spaces that match the needs and lifestyle of the client. There’s a story in every room. Our vision is expressed through texture, pattern, and color, with a strong emphasis on proportion. Our dedicated team has a true love of the industry and strives to exceed every expectation of each and every client. Every time. Services Provided Full-service interior design services: Whether you want Jeffrey King Interiors to direct your project from conceptualization to completion, from everything to anything in between, we’re here for you. Areas Served High-style design for primary residences, commercial projects and vacation and second homes. Projects in Detroit and the surrounding suburbs throughout northern Michigan — and nationally and internationally, including New York, California, North Carolina, Florida and in-between. Hi, I'm Courtney. The Owner of this amazing firm. We are a team of talented Detroit Designers that live to create and style spaces/projects/homes that our clients come alive in! Let the creativity roll. Let's do this together! DESIGN PHILOSOPHY AMW is committed to building collaborative relationships with clients. I invite you to be involved in the process of creating a home that is a reflection of your lifestyle and history. As the principal and owner of AMW Design Studio, my role is to navigate clients through the design process from conception to completion. I offer a full range of design services that can be customized to fit your needs. With over 30 years of design experience practicing in Chicago, New York and Detroit, I bring vision, expertise, and professionalism to each project. My primary goal is to remain focused on customer service, budget and a commitment to authenticity and inspired design. After training at noteworthy schools like Cranbrook, University of Michigan, The Penland School of Crafts, and The Harrington College of Interior Design in Chicago, and after many years as the primary designer at an established design firm, I am proud to have launched my own studio in 2009. I have a loyal client base and continue to grow my business by referrals and community involvement. My work has been featured in several publications and I have been the recipient of many Detroit Home Awards.